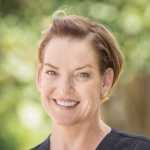 Britany is Dr. Foley’s sixth sense; she has an exceptional way of thinking ahead during dental procedures and ensuring that every patient has a pleasant experience during every visit. She has been working in the dental field for 5 years, and holds a Dental Assistant License as well as a degree in Dental Practice Management. While Britany truly enjoys her career in dentistry, she also loves the time away from work! Her husband and their pups enjoy kayaking, hiking, biking, and swimming. Brit is ready to provide the best dental care to every patient and does so with excellence.